The resistance of the tenants of Okara Military Farm villages to changes in their contract and to threats of eviction is cause-celebre, particularly for left-leaning activists and intellectuals. This is as it ought to be. There have been various attempts by the authorities to evict residents since the time of General Zia-ul-Haq’s regime. The issue flared up again under General Musharraf in 2003, and after a hiatus it came to the headlines once more in April 2016 when it was reported that security forces positioned a tank in addition to the usual tear gas rounds to disperse people who were celebrating the International Peasant’s Day. A 17-year-old boy died and many protestors were injured and arrested. The government stated its determination to charge the protestors under the National Counter Terrorism Act of 2013. “Maalki ya Maut” - ownership or death – is the defiant slogan raised by the Anjuman-e-Muzaraeen Pakistan (AMP) or the association of peasants of Pakistan, since 1989. It has inspired many activists and scholars, and for good reason. At a time when active class struggle is being overshadowed by other forms of mobilization, the movement of Okara peasants stands out as an example of political resistance to what might be the largest corporate landowner in the country. But the story of dispossession in Okara is deeper – and perhaps darker than the current generation of activists and scholars might admit. I have had occasion to visit the district and conduct fieldwork there since 2010 and heard parts of a story of dispossession that goes back at least a century and a half. Hindu villages such as Wan Radha Ram and the other indigenous communities, also known as Jhanglees were evicted by the British Government. The government of the time was keen to develop the eastern rain-fed pasture lands of Okara through a network of irrigation canals. Engineer Ganga Ram was engaged to design the Dhuniwala Feeder to irrigate 17,000 acres of land through a lease document (for a period of 1913 to 1933) for garrison purposes. 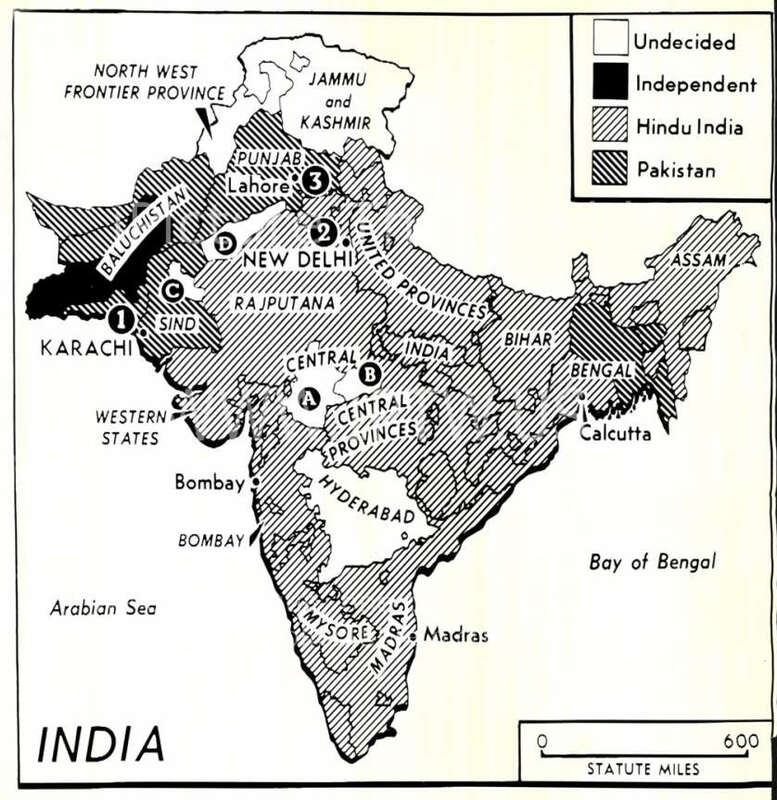 Although the partition of Punjab between India and Pakistan happened in August 1947, violence which had started several months earlier caused mass evictions from both sides. Hindus and Sikhs of Okara were dispossessed at this time. Thereafter, in preparation of the 1965 war with India, the Pakistan Army initiated construction of cantonments in various districts of the country including Okara. The army occupied the garrison and developed infrastructure over 5,000 acres of land and allotted the remaining 12,500 acres on a patta system, also known as a one year lease system to residents of various Chakooks - canal colony villages. Through the Okara Military Farms, the Pakistan Army smoothly continued its agricultural businesses with the cooperation of settlers in the canal colony villages until 1969. However, things changed when the ill-fated Muslims and Christians of Chak 17/4-L first experienced eviction during Bhutto’s inaugural election campaign. Bhutto’s election manifesto was pro-hisa batai system (a sharecropping system according to the Tenancy Act of 1887) rather than the lease on annual contract patta system. Bhutto’s land and tenancy reform policies and slogans fostered a strong sense of resistance against the patta system and led to the emergence of tenants’ movements under the slogan of "jhara wavay, oohi khaway" (loosely translated as the one who grows has the right to consume), in various parts of Punjab particularly in Khanewal and Sahiwal. Despite peasants’ resistance residents of 11, 14, 16, 17 and 18 Chakooks were displaced from their sakni or residential and agricultural land under tenancy up to 2010. Yasin belonged to a cultivator caste group and was only 8 years old when his village in Chak- 17/4-L was demolished with heavy machinery in the presence of a military brigade. His father could not survive the shock and died. The family, who also held one murabba (approximately 25 acres) of agricultural land in the Military Agriculture Farm, had to take refuge in another Chak and survived by doing casual labour for many years. A female respondent also shared her family’s experience of dispossession when her father was a tenant on the patta arrangement and their land was under the control of Army’s General Head Quarters (GHQ). According to the revenue and tenancy rules, the GHQ was obligated to fulfill all of the government’s revenue tax requirements and had the responsibility of providing water, seeds and fertilizers to the tenants. However, there was a minimal role of the numbardar (a person who collects revenue and taxes on behalf of government) in these military farm lands. “We were dislocated from our residential land as well the murabba in the Military Farm” she reports. The respondent also added that in the past ten years the GHQ had stopped providing various inputs to the tenants and the Muzaraeen, who are the occupants of Military Farm lands, also revolted and stopped paying output shares to the military. Due to mass resistance the military forces could not evict people of 21/4-L Chak’s from their residential land, although they were forced to write off their agricultural lands. The tenants of Chak 14/4-L, who had lost both their agricultural and residential lands, were later allotted residential lands by the government as it was easy for the government of the time to discriminate on basis of murabba holders and non-murabba holders or non-cultivator castes in residential plot allotments. The government did this by dividing the residents of 14/4-L into two categories; one of those who were murabba holders or tenants and second of those families who were non-murabba holders, who came to be known as the Faltus. Murabba holder families were awarded 7 marla plots in Gamber 4-L distributary’s embankment and Faltus were allotted 3 marla plots on an evacuee property of a ruined brick kiln (previously owned by Hindu and Sikh families) inside the Chak 10/4-L. The government of the time named murabba holders’ settlement as Muhammad Nagar and the Faltus’ settlement was titled Saabreen-e-Hijaz, though it later came to be known as Batha Abadi. The Pakistan Army also owned a dairy farm inside Chak 10/L-4 and had initially resisted the allotment but had to back down after uproar from the displaced families. Ironically, the murabba holder residents of Chak 10/L-4, while resisting the Pakistan Army, were at the same time embroiled in persecution of the Faltu residents of Batha Abadi. Batha Abadi, the settlement of the dispossessed Faltus, was allotted 8 acres of land out of which 4 acres were allotted for construction of homes and the rest were spared for communal or shamlat use such as funerals, weddings and rearing animals etc. A murabba holder resident of Chak 10/4-L, who was leading the confrontation against the Pakistan Army, had occupied 2 out of the 4 acres spared for communal use. Another Christian Muzara, also occupant of the Military Farm lands, had occupied one acre of land in Batha Abadi which was being used as a chappar or a drain pond. Violence and dispossession has been ongoing in Okara for over 150 years with every new generation of dispossession classifying its own victims - from the Jhanglees of the mid-19th century to the Faltus of the early 21st century. Through these left-leaning activists and mainstream political parties alike have paid the most attention to the murabba holders among all the classes of victims. The Punjab Land Alienation Act of 1900 which formally divides the society into 'cultivators' and 'non-cultivators’ is still intact and it allows the Punjab Government to evacuate non-cultivator caste groups and agricultural labour from their allotments. Within this context the murabba holders of Okara Military Farm peasants movement are relatively privileged. Their demand for tenancy security leading to ownership rights, while valid in itself, excludes the non-cultivator castes and agricultural labourers who have no right of tenancy to start with. Are the Jhanglees and Faltus unwitting pawns in hands of the government, the political activists and the murabba holders?